WE DON'T JUST SELL FILTRATION PRODUCTS WE ENGINEER FILTRATION SOLUTIONS. EPS provides service with a clear advantage. With customers world-wide and over 25 years experience in the filtration industry, we are eager to assist you with your filtration needs. 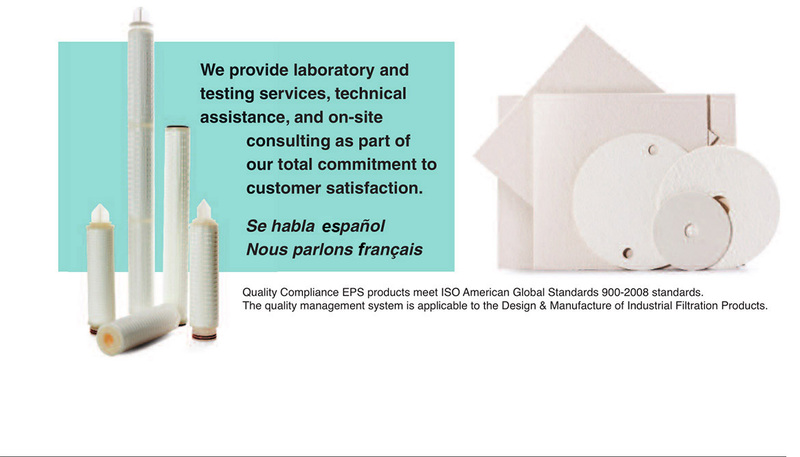 EPS = Engineering expertise + premium products + superior service. Our filtration products offer the highest level of performance while maintaining the integrity of our customersʼ application and offering significant cost benefits. EPS provides global service with regional pricing. We anticipate your filter needs and know what products will provide the optimum filtration results, quality, and life of use for your particular application.